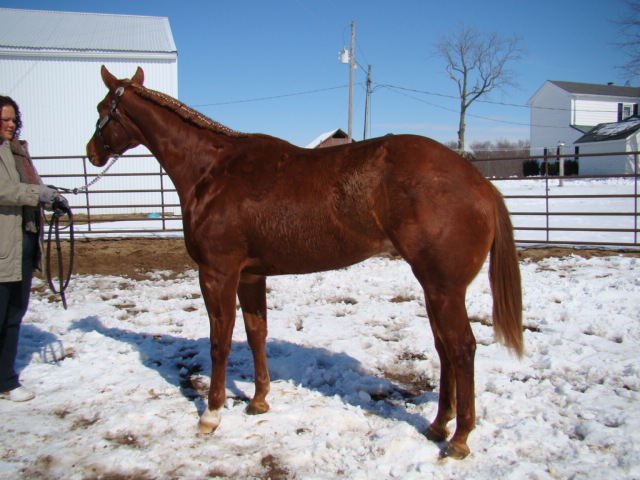 Shown here in pasture condition, this fancy colt will make his show debut in 2010. 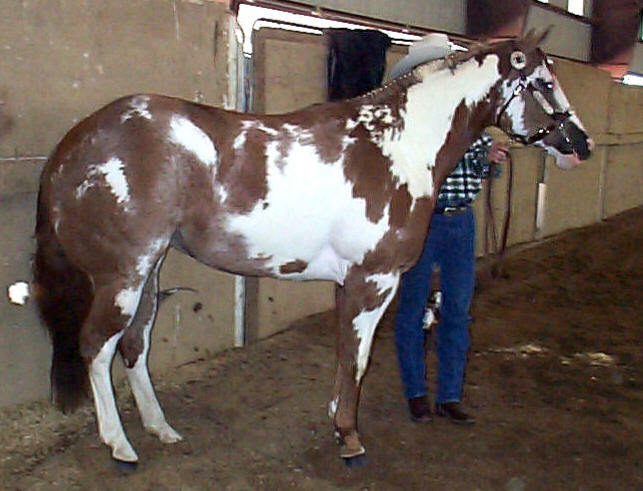 Just came in the barn and is lighted, blanketed and being fit for the 2010 show season. 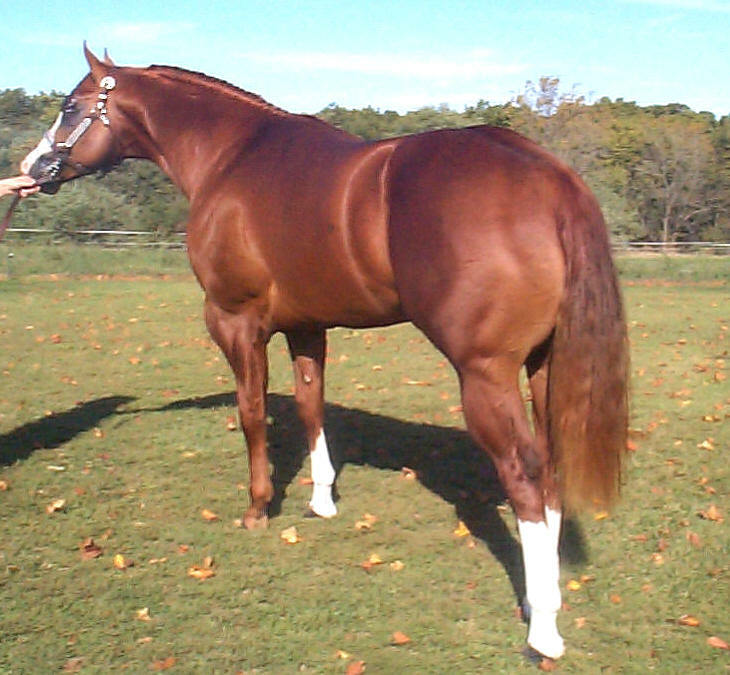 Expecting great things from this awesome colt! 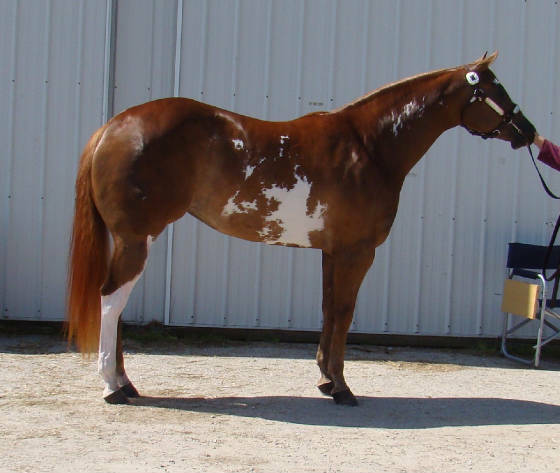 Thank you to Dawn Strohecker for allowing me to purchase this fancy colt! 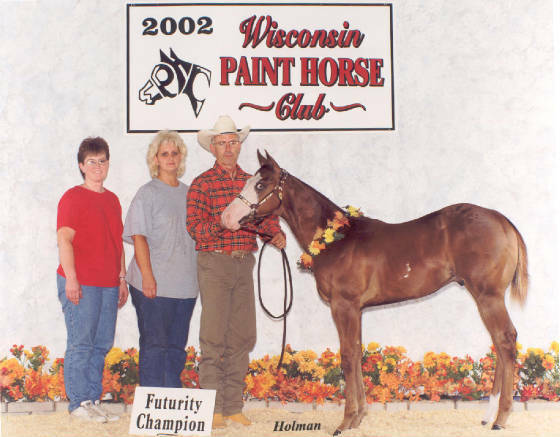 has earned over 50 halter points in 2009, very close to superior halter! Currently 5th on the 2009 Honor roll! 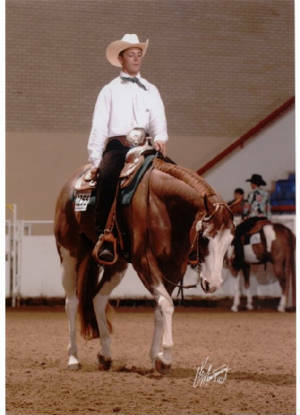 2003- Grand W/T, Reserve Youth Gelds. Reserve Aged Gelds. 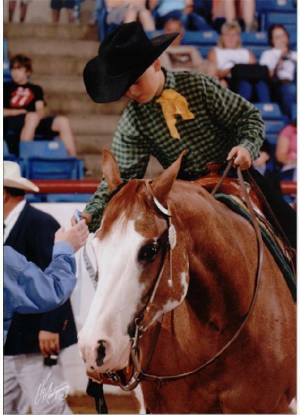 2005 Reserve W/T, 10th at World in W/T out of 17 with a first year rider with 3.5 months under his belt. Undefeated at all Midwest futurities!! and 25 open points with 2 Grands! 1st under all 4 judges! 3 firsts and 1 second!!! The Lord has truely blessed me this year! Thank you Lord and thank you "Sassy" you are my little princess...it sure has been a Sweet Ride!!! 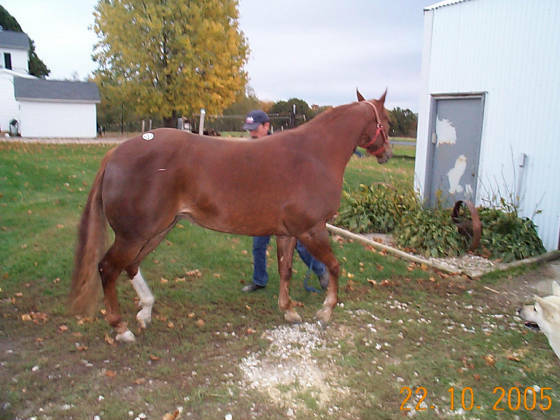 currently being fit for the 2007 show season! 2nd under 2 judges, earned 2 halter points! well we've had no luck finding any other Sr. 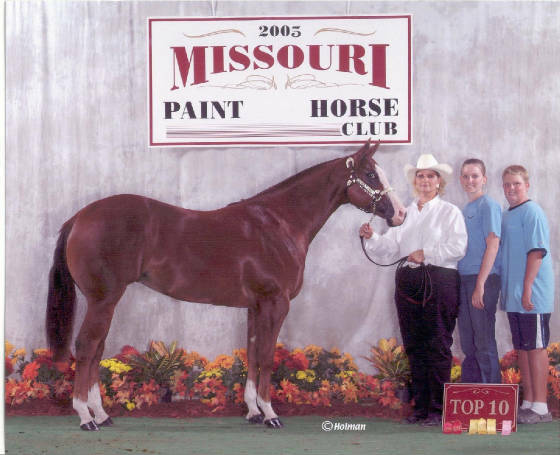 Solid Paint bred mares to show against so we are just going to hit all the local county fairs and stock horse shows! 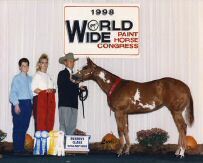 2nd out of 17 head in open halter! 3rd out of 8 head in open halter! 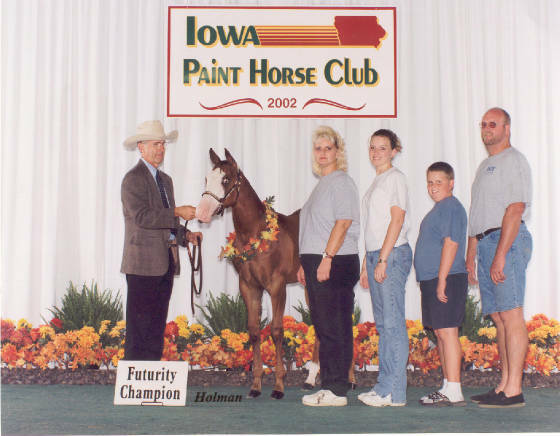 1st out of 12 head in open halter!! !